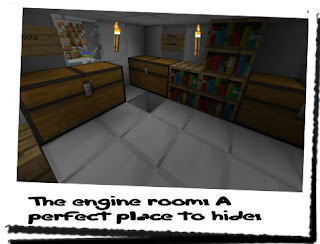 Diary of a Miner: Day 66: Found the most epic of hiding places! I don't know what time I woke up this morning... I didn't even know whether it was morning. I woke up a little disorientated; surrounded by a low, glowing light cobblestone. Then I realised where I was, and what happened. I had found my way back to my house, but someone was up in the house, presumably waiting for me to make a stupid move of coming back... Well they were in for a long wait, I could be very stubborn! It wasn't the light that woke me up, or the time... It was the sound of digging. After the few moments of complete confusion, I became instantly aware of a scratching sound at the sealed end of the chamber. I had blocked it off yesterday with dirt and stone to ensure no light got out, but it appeared someone had found me! I didn't know what to do, so I let the fight or flight response take over! As there was no option to flee, I chose the next best thing, and took the small dagger in my right hand, and crouched on the floor, ready to pounce! After a few moments of waiting, the scratching became more erratic and, small streaks of daylight began to ease their way into the chamber. I readied myself for what may lie on the other side, when I saw a white paw... Instantly I knew who had found me. If I was to swim on the surface, I would make too much noise, or I would be spotted, so the only course of action would be to swim underwater until at least the pier. From there, I could swim underneath it to use as cover. Then it was a case of hoping the pier provided enough cover until I got to the end of the ship and was able to get to the other side. Preparing myself mentally, I took a few deep, but quiet, breaths, and then plunged deeper! 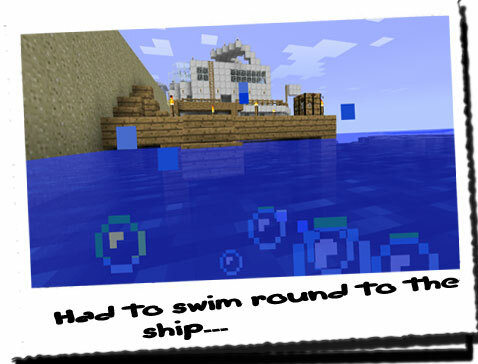 After a moment of disorientation, I began to swim towards the wooden struts I could make out that marked the pier. From beneath the surface, I could also see the original hardwood struts that had made up the original pier, and angled myself towards them. After about thirty seconds, my lungs began to ache, but I made it beneath the pier, and I surfaced. Careful not to make too much in the way of noise or waves, I also concentrated on not banging my head! I then used the struts, and the wooden pier to pull myself along its length, until the end. I then hugged the ship the entire way around for the last bit until it took a sharp turn to the left, where the back began. After I got round here, I let out a sigh of relief. But I wasn't out of the danger zone yet; I didn't know if they had posted any more guards along the exterior of the wall, so I swam gently to the shore and climbed out. I popped my head up, and looked around, but there was no-one on or around the wall, not even in the tower! Wow! These guys were terrible! I sat there a moment, catching my breath, before climbing onto the beach, and hiding behind a mound of sand. I tried to remember why I had piled the sand up like this, thinking that it might have been a way to gain access to the wall. Then I remembered it was the ship that had done this! Very handy! Now all I needed to do was get onto the ship from the other side without being spotted... Simple(!) I peered from over the top of the sand; the guards were still distracted. In fact, the one guard with the paper had seemed to involve the other guard, and they were both staring at it. Now was my time. 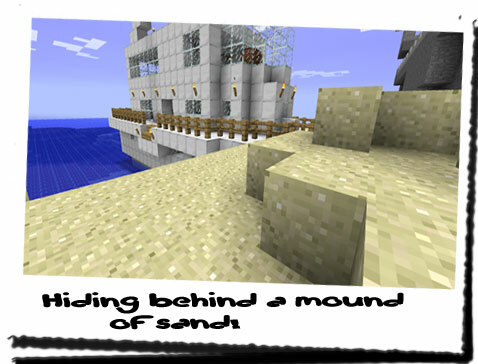 I rushed out from the sand, and lowered myself onto the side of the boat so I was hanging off the edge. I then proceeded to walk my hands to the left, with my entire body dangling above the water, to the steps where I could gain access! It took a few minutes because my fingers felt like they were on fire! Afterwards, I used what energy I had left, and pulled myself, rather ungainly, onto the open deck. Worried I had made too much noise, I quickly made my way down the stairs to my immediate left, down into the crew's quarters and supply room. This is where I wanted to be anyway. This is where I would find the equipment I would need to survive. Going over to the ships provisions, I took out a loaf of bread and began tearing away at it voraciously! I hadn't realised how hungry I was until I tasted the sweet taste of that bread! It was the most delicious thing I had ever eaten! Finishing it, I sat down on the deck, feeling a little stuffed. Then I saw, in the corner, the hatch I had jarred open to access the engine room. There! That would be a perfect place to hide; right under their noses! It was so obvious they would never look there! I just needed to get Chiron back here quietly and it'd be done! Looking around for something to carry the stuff in, I eventually found a leather bag in one of the chests in the crew's quarters. That would be perfect! I then put a few bits of meat into it, along with some bread, and a few bottles of water. Looking around again, I quickly found a first aid kit, and added it to the bag. I had enough equipment to make a return journey, and get Chiron back on his feet... Well paws. As I was about to ascend the steps, I remembered that one of the chests had contained weapons and armour. After another look around, I found the perfect weapon for me. In the bottom of the weapons chest, was a bow and a full quiver. Brilliant! Now I could protect myself if needed! I took half an hour making a quick, but quiet return journey back to the chamber. Chiron was still there, although lying on his paw this time. I set the bag down, and took out a bandage. I didn't know how to apply it, so I did it in the only way I could think of, and ensured that the paw couldn't be twisted in the position I set it in. Once Chiron was bandaged up, I gave him a porkchop, whilst I sat and had a drink of water. It was tiring work, but if I pulled this off, I would be closer to getting access to the house, and maybe finding out who was in there... Although, I had a pretty good idea... After Chiron was done with the porkchop, I put the remains in the bag, and extinguished the torches. 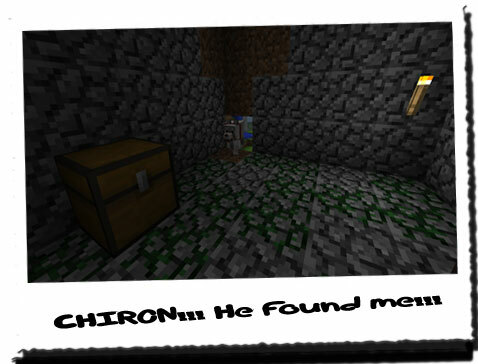 I didn't want to leave any trace of me or Chiron being here otherwise they might find us... Going back to the ship proved more difficult than expected. Chiron seemed to think we were going on an adventure, and kept bounding off! He was liable to give the game away if he wasn't careful. But after a few minutes of realising I wasn't up to playing around, he settled down, and followed my lead. He was actually pretty stealthy! When it came to hiding under the pier, he dove all the way under the water, and beat me to the pier! It was almost as if he had done it before... Either that, or he knew what I was planning. Once we had got back onto the shore on the other side of the ship, I wondered how I was going to get Chiron across to it... Before I could figure anything out though, he had made up his own mind, and ran towards the edge of the ship that met with the beach. I watched as he squeezed himself between the bars of the railings on the main deck... Clever! He sat just out of sight of the guards, whilst I hopped over the railing; the guards were thoroughly engrossed in the piece of paper at this point, and were both facing away. I led Chiron down the stairs, and managed to help him into the engine room. I left the bag with Chiron, and went back up to get some food and other equipment, such as lighting. The engine wasn't running anymore, so the lights had gone out. Before heading back down, I climbed to the upper deck, and to the navigation deck where I could look out of the large, glass cabin and see across the wall. The guards were still busy near the gate; one of them saying "No, we were here!" and pointing to the paper. It must be a map... Looking back at the house, I couldn't see any activity, but I knew someone was in there... I didn't have a plan yet, but I was in a better place to come up with one. The ship had equipment I could use to get through if needed! It's been about an hour since I moved me and Chiron to the engine room of the ship... I have yet to come up with a plan, but I had an idea what might be good. If I could get access to the mineshaft beneath the house, I would be able to move freely. 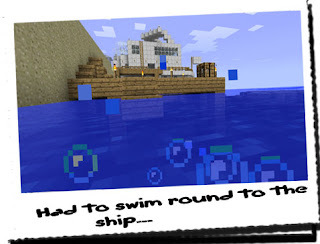 Especially as most of the mineshafts were boarded up after I was worried about the security. If they were still in place, they would know I hadn't come through them, and it would be perfect for me to quietly and easily gain access. All I needed to do now was gain access to the mineshafts from the surface... Well, there were a few pickaxes and shovels on board!